Made the move to put Fedora on the desktop machine too. Seeing how many games were available for Linux on Steam made it a pretty easy switch. Goodbye to Windows! Installing the proprietary NVidia drivers were a little tricky at first, but I got it up and running smoothly. Other than that, no problems to speak of. Still having intermittent wireless connectivity issues with the X1C3, but everything I read says that there are just some bugs in the iwlwifi firmware for the Intel 7265 card.  I’m hoping that when Fedora 22 comes out in May that the 4.0 kernel will have that fixed. We will see. Excited about trying the plasma 5 desktop in KDE. Lastly I got Tor up and running and thought I would check out the dark web. Went to the dark web wiki and it’s pretty scary. You can hire contract killers, buy drugs, and there were a surpringly high number of sites where you could buy things like compromised PayPal and prepaid debit accounts. It’s actually pretty scary. I’m guessing that if you get your identity stolen, that’s where it ends up. Got off the website and I’m really hoping it never happens to me! You should check out cinnamon desktop for fedora. Next Next post: turngren.net has a much more robust home now.